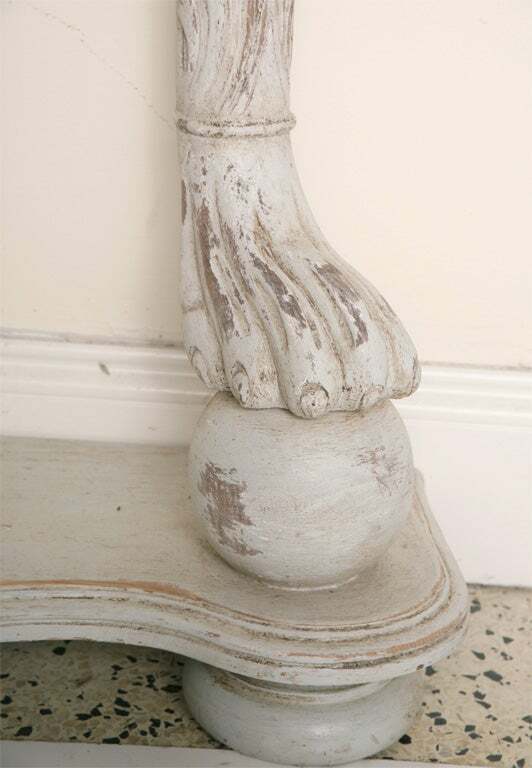 Georgeous Italian grey painted wood console. 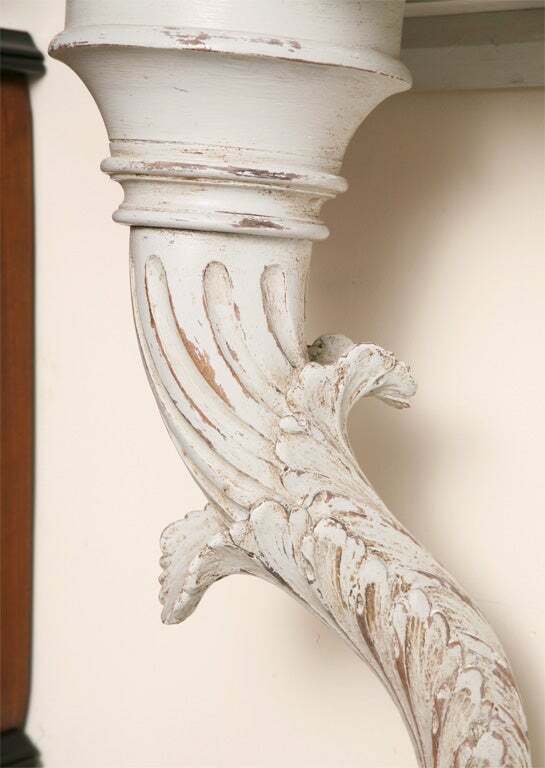 2 legs with paw feet and acanthus leaves and Italian Carrara marble top. 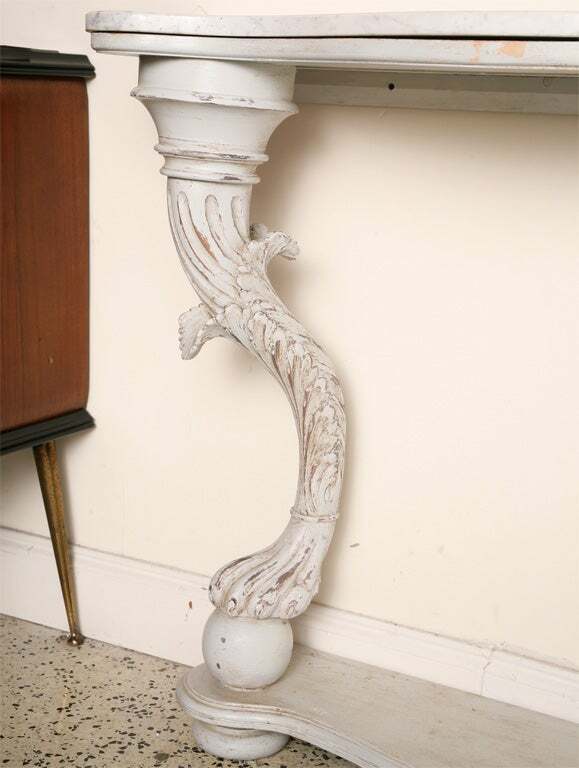 Superb 4 legs 1940s Italian Console Large unusual model, brass mahogany and sienna marble. Newly restored and refinished. 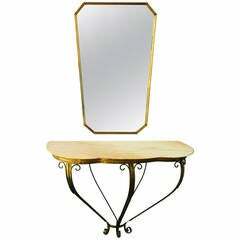 Italian console and mirror, circa 1950. 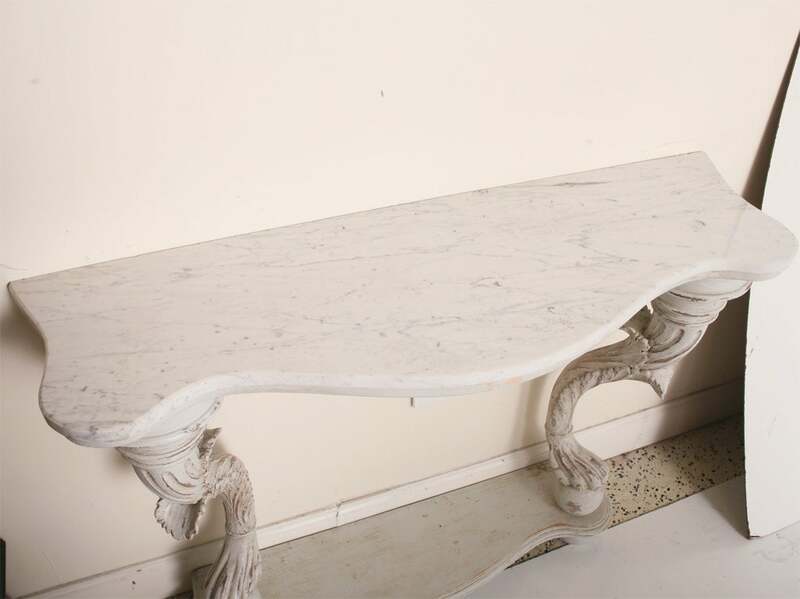 Superb Italian console, in brass with marble top. 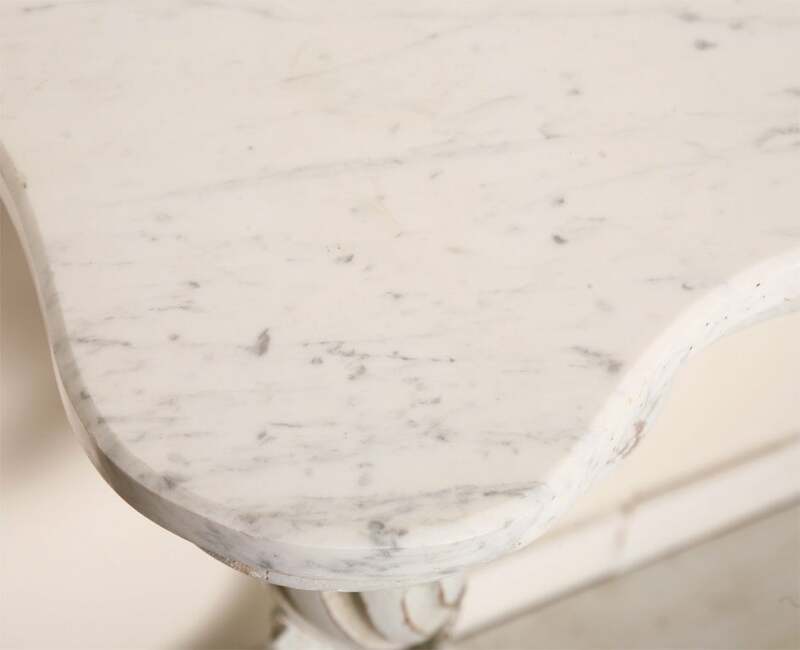 Lucite console Measures of the base 24" L, 13" D Clear glass top: 1". 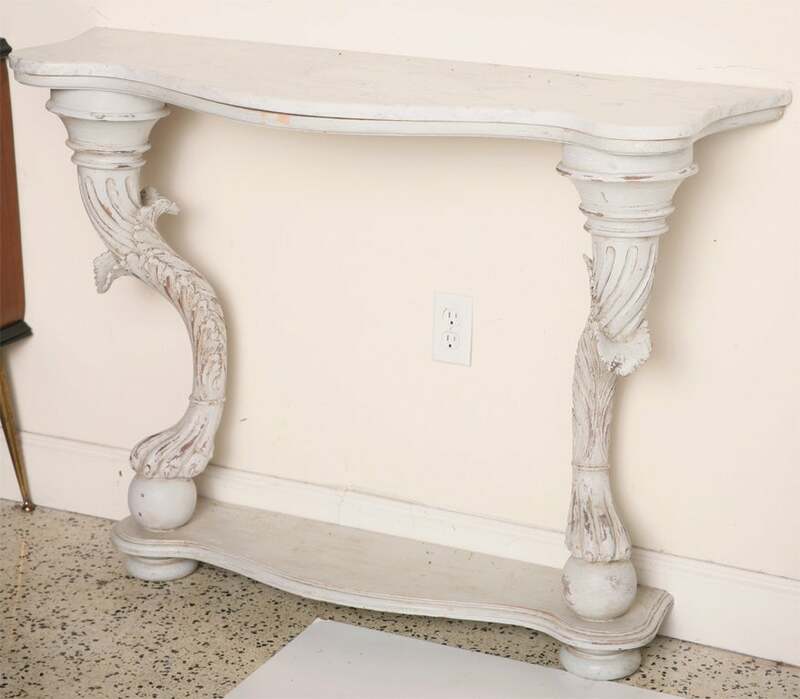 Italian 19th century hand carved, hand painted wood console table with marble top. 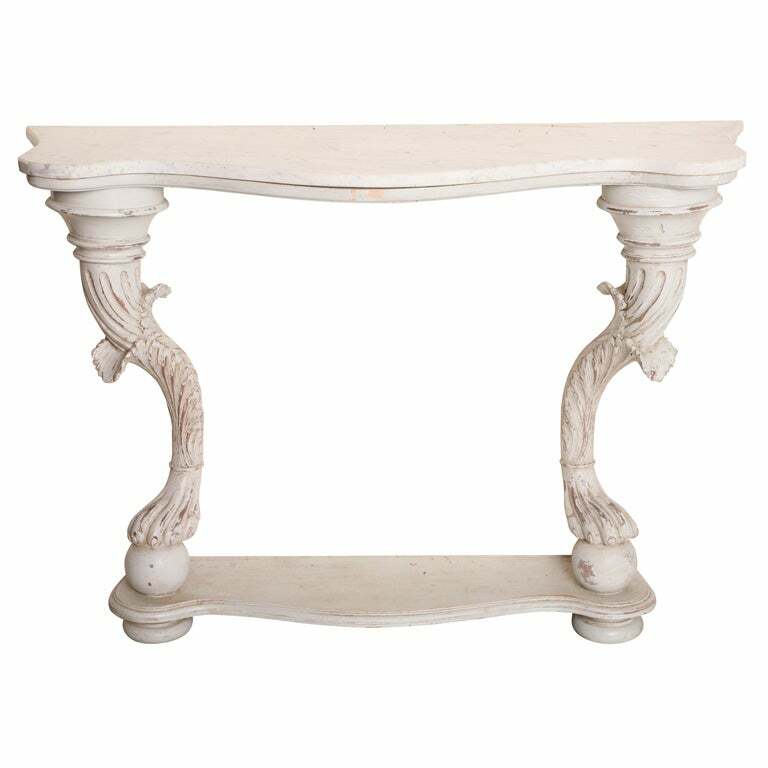 Stunning 19th century Italian original painted console table, 1830. 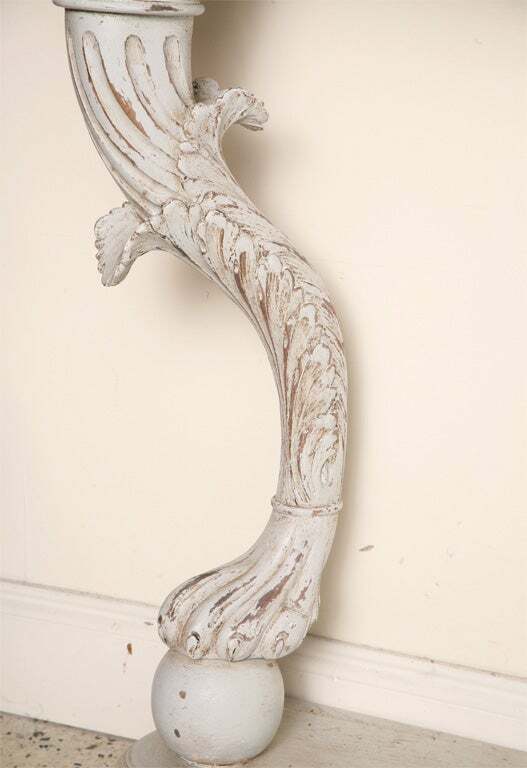 Dimensions: 58 inches (147 cms) wide 19 inches (48 cms) deep 34 inches (86 cms) high.